Most people agree that a solution must be found for saving the Amazon rainforest from deforestation and hunting of its creatures. However, the means are not as simple as building high fences around the remaining perimeter and forbidding locals to enter the land their ancestors have lived on for centuries. We believe considering the local population’s needs and connecting them with caring people from around the world is the essence of conservation success! 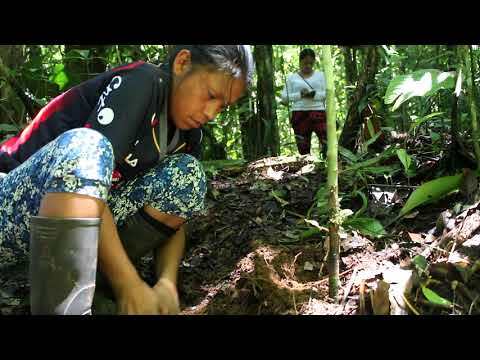 Our ambitious ‘Community Rainforest Reserve´ project is based on ancient indigenous rainforest harvesting techniques and will be managed entirely by the local indigenous Kichwa community, aided by our team of international volunteers. We are looking for people like you to become part of the reserve by sponsoring locals to plant trees. Your donation will support a ‘Tree Pal’ who will plant a minimum of 108 trees within the reserve. 50% of these trees will provide food and shelter for the endangered animals of the Amazon and the remaining 50% will provide organic food and a source of sustainable income for their families. None of the trees planted will be destined for logging. Hunting, of course, will also be prohibited as the Amazon is home to many endangered species, such as jaguars, South American tapirs, giant armadillos, ocelots, toucans and macaws. 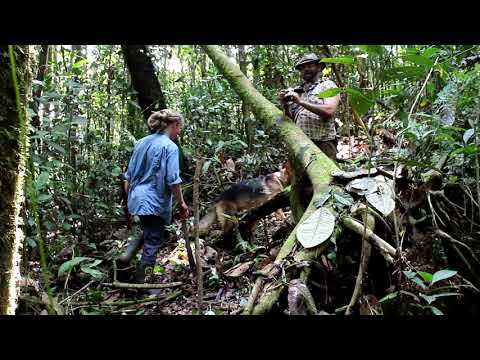 To guarantee the animals´ safety, land will be purchased in the name of our legally recognized foundation ´El Bosque de la Sabiduria´ and protection of the Ministry of Environment, classified as a ´Bosque Protector´, or ‘Protected Forest´, the Tree Pal community will act as park rangers themselves. To inspire people to stop hunting we will buy cameras to make ‘camera traps’ and offer them rewards for the taking photos- a new form of shooting! Due to the current economic crisis in Ecuador people are flocking to the forests to cut timber and mine for gold. We need to act fast! There is currently a giant mining project expanding nearby, ruthlessly cutting down all the forest and contaminating the rivers with mercury. To carry out the first stage of the project we need to save roughly 1645 acres, protecting an estimated 400,000 giant trees, preventing more mining projects and protecting the local town´s water source. The cost of the land alone is around $1,000,000 US dollars. We have just planted hundreds of trees in the pilot stage of the project and have recently built a new nursery with 5,000 seeds planted in January 2017. This is a lifelong project for our team members and we assure you that your donations will be managed properly, we will provide frequent updates and detailed financial reports will be available for everyone to see. We have launched our gofundme page where you will be able to donate. Please like our Facebook page to stay updated! Sponsoring a tree pal for life involves a lot of work and effort. Administrative, transport, infrastructure and legal costs all add up. Taking into account all these expenses here is a rough estimate of how much land you will protect and how many trees you will help plant. $10 – Will protect 66m² and sponsor a tree pal to plant 4 trees. $20 – Will protect 132m² and sponsor a tree pal to plant 8 trees. $50 – Will protect 330m² and sponsor a tree pal to plant 20 trees. $100 – Will protect 660m² and sponsor a tree pal to plant 40 trees. $200 – Will protect 1320m² and sponsor a tree pal to plant 80 trees. $270 – Will protect 1800m² and sponsor a tree pal to plant 108 trees. $500 – Will protect 3333m² and sponsor tree pals to plant 200 trees. $1000 – Will protect over 1 and a half acres of rainforest and sponsor tree pals to plant 400 trees. 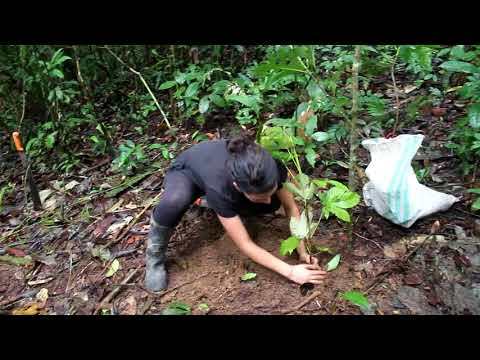 $10,000 – Will protect 16 acres of rainforest and sponsor tree pals to plant 4000 trees. We are looking for: project managers, forest engineers, web developers, bloggers, photographers, marketers, teachers and social media managers. You can send us good vibes! You can start a fundraising campaign in your country. You can put a link to our webpage on yours! You can come and volunteer! You can help us answer emails! You can help us with designs, music, and art! You can tell your friends about our initiative!